Asbestos is a mineral that was previously highly used and hailed as a wonder product for its fire and heat resistant properties. Unfortunately, it was discovered that asbestos can cause a variety of diseases to those exposed to its fibres. Those who are suffering from an asbestos-related disease it may be able to bring a claim for compensation – whether they were exposed to the substance in the workplace or at home. This guide answers the most frequently asked questions in relation to asbestos claims and will help guide you through the claims process. Asbestos compensation claims can be complicated and awards for such claims can be substantial. That's why it is recommended you speak with a specialist asbestos compensation claims solicitor if you think you might have a claim. Asbestos in the workplace - People who have worked in certain industries are at a higher risk of having been exposed to asbestos than others. Those who have worked in heavy industry such as plumbers, heating engineers and ship builders are much more likely to have been exposed to the dangerous substance. However, as the substance was so highly used in construction, it is estimated that 50 per cent of all asbestos used still remains in public buildings. This means that there is no limit to who can bring a claim if they develop a disease as a result of exposure. Asbestos exposure at home – You may not even be aware that you were exposed to asbestos and you can still claim compensation for exposure under these circumstances. You may have been exposed to asbestos through a relative working with the substance or fibres in your home. What should I do if I suspect I have an asbestos related disease? If you are concerned about past exposure to asbestos, or suspect your health may have been affected by the substance it is essential to get advice from your General Practitioner. If your diagnosis suggests asbestos as a cause of the condition, you may be entitled to special benefits and compensation. You should also speak to a lawyer as soon as possible. You should ensure the solicitor you choose has experience in making asbestos compensation claims. Your solicitor will be able to advise you at this point as to whether you have a good claim for an asbestos related disease or injury and will advise you how best to proceed. 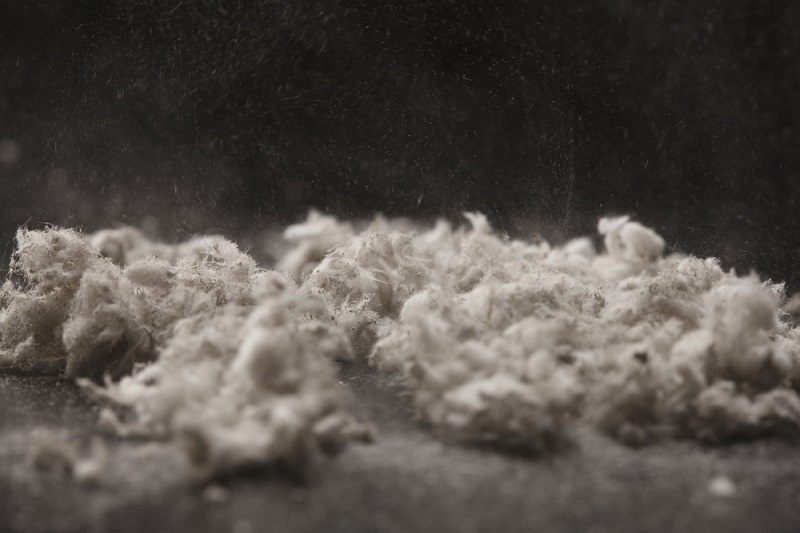 There is usually a three-year limitation period for bringing an asbestos related claim. The three years normally runs from the date you are diagnosed with an asbestos related illness – not from the date of exposure. However, the date from which the limitation runs could be earlier if you have made a connection between your illness and asbestos exposure prior to diagnosis by a doctor. Where a person has died of an asbestos related disease, the three-year limitation period will usually run from the date of death. It is possible to ask the court to let your claim proceed even if the three- year limitation period has run out. Your solicitor will be able to discuss this with you. Regardless of circumstance, you should seek legal advise as soon as you realise you have an asbestos related injury. How long will it take to bring my asbestos compensation claim? It is difficult to estimate how long a claim will take as each claim is very different. In serious cases such as mesothelioma, it may be possible to fast track a claim through the High Court. The High Court has a special system for dealing with urgent cases- typically these cases take 6 months or less from start to finish. However, the majority of cases take between 18 and 24 months. Can I still bring a case if the victim has died? Yes. A claim can still be brought by the executors of the deceased estate. What if my employer went out of business long ago, can I make a claim against them? If the company responsible for your asbestos exposure has gone out of business, it may be possible to bring a claim against the insurer. You must be able to identify and locate their insurer to bring a claim against them – your solicitor can assist you with this. Alternatively, the company may be trading under a different name or have transferred their liabilities to another business. In this case you would bring a claim against the new company. What do I have to prove to make a claim? Firstly it must be established that you are suffering from a disease directly related to asbestos exposure. This can be confirmed by a medical expert. Furthermore, it must be established that the disease was caused by exposure from a certain source – usually the employer you are bringing the case against. This can be proven by producing evidence of exposure to asbestos and proof of the time that it occurred. It must also be demonstrated that your employer should have foreseen that at the time of the exposure you could have suffered an asbestos related disease or injury as a result. Most large employers have been aware of the dangers of asbestos for more than 70 years. Furthermore, most employers did not warn their employees of the risks of exposure to asbestos. This means that if you have been in contact with asbestos in the workplace, your employer knew or should have known the danger they were exposing you to. Who can I make my asbestos compensation claim against? You may have been exposed to asbestos by more than one employer. You can pursue any employer that exposed you to asbestos fibres and for some conditions you may only need to identify one employer. As circumstances differ, it is best to speak to a lawyer about who to pursue. How do I prove I was exposed to asbestos if it was long ago? Normally, lawyers rely heavily on witness statements to prove events that happened long in the past as there are rarely any documents to evidence such events. Solicitors rely heavily on witness statements to prove what happened in the past, because there are rarely any documents evidencing events several decades ago. The courts are usually quite accepting of the evidence given in witness statements and most of the cases that we bring rest on the statements given by the victim themselves, their friends, family and former work mates.